The man with the van and the plan for my future. I still laugh about that time my father told me it was time to abandon my career with the BBC and help him sell fruit and veg from the back of a van. 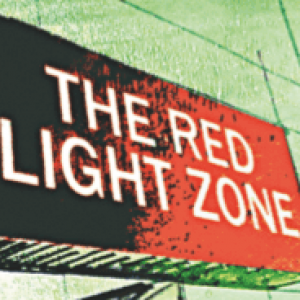 This is one of those stories about Dad that I had planned to include in The Red Light Zone, but had to leave out because it didn’t fit into any particular chapter. A pity, because those who have read the book say the occasional mention of Dad’s eccentricities are among their favourite bits. Ach well, his life story needs a book of its own. He told me about his bold plan for my new career on one of those Wednesday nights when I would visit him on my weekly trips to Glasgow. He had the whole thing worked out: he had a nest egg, he explained, the remainder of his redundancy pay-out from the steelworks. He had already bought the van and was surprised I hadn’t noticed it parked in the street outside his house. Not only that, but he was a regular visitor to the big fruit market out at Blochairn and would often pick up crates of oranges or sacks of potatoes which he would share out among visiting family members and neighbours. He knew those blokes at the market, he assured me, and could be sure of getting good deals on the produce. As I listened open-mouthed to all of this, he led me out into the street to look at his big purchase. It was an second-hand Transit which, he told me, had already been kitted out with shelves and a make-shift counter. At that point, the next door neighbour appeared, murmured a quick hello, climbed into the van and drove off. I turned to Dad. He was laughing so much he could barely speak. Honestly, if I’d had some rotten fruit in my hand at that point, I would have chucked it at him and chased him down the street. Even fresh fruit would have sufficed. Previous Post Who ate all the teacakes?